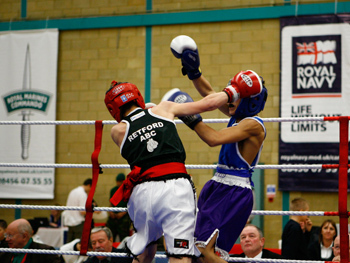 The Royal Navy and Royal Marines have a long history of competitive boxing and we are hugely successful in helping personnel achieve sporting success up to international level. Boxing needs self-discipline, hard-word, outstanding fitness, courage and teamwork - just the sort of qualitities that we look in potential recruits. Find out more about our rising boxing stars and get top tips from the Royal Navy boxing coach, Sgt Graham Alderson.